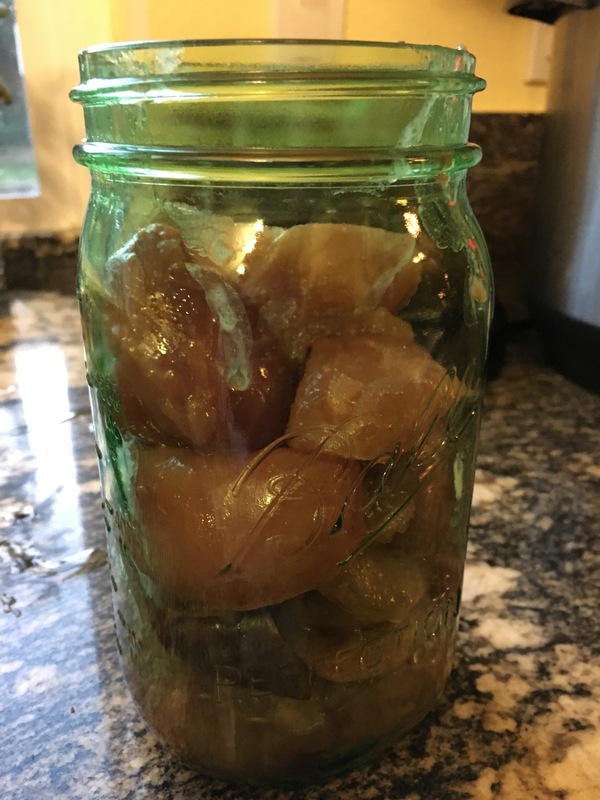 Don’t throw out “old” or “tired” apples. Make applesauce instead. You can use applesauce to replace oils, sweeten a recipe naturally or just have as a snack. Place all of your ingredients on the counter before turning on the InstantPot. Chop apples in medium slices. 1 apple should net you 6 cuts. Remove stem and seeds plus seed shells. If you really only have 4 minutes, cut apple into 12 chunks. Chunks should be same size. Add butter then count to 4 while it melts and add apples. Stir butter and apples until they begin to sizzle (about a minute). Sprinkle cinnamon in and stir. Let pressure release naturally (if possible). If not, cut the apple chunks into equal smaller sizes (so one apple getting you 12 cuts for example). I use a dry erase marker to indicate when I make a dish. 5 apples made this much chunky applesauce. 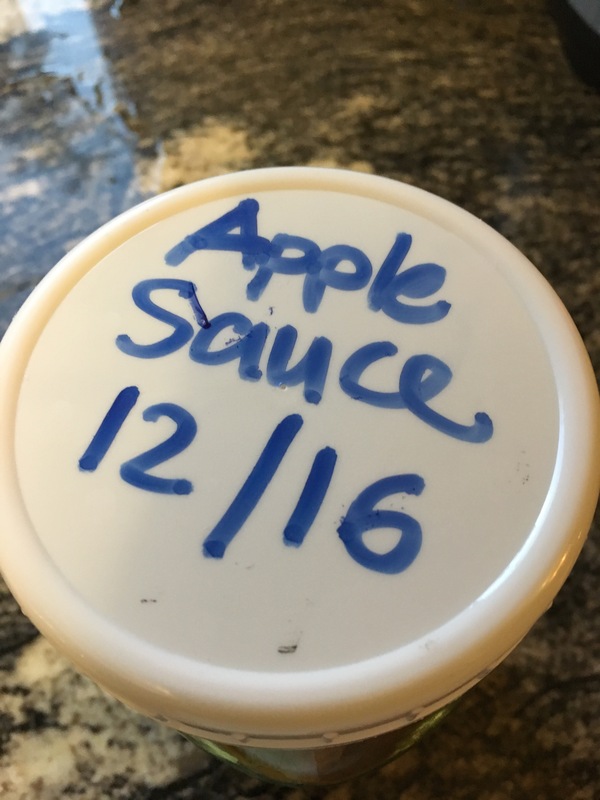 Apple sauce can be chunky or smoother. It can be used to replace oils in recipes and also sweeten food naturally. 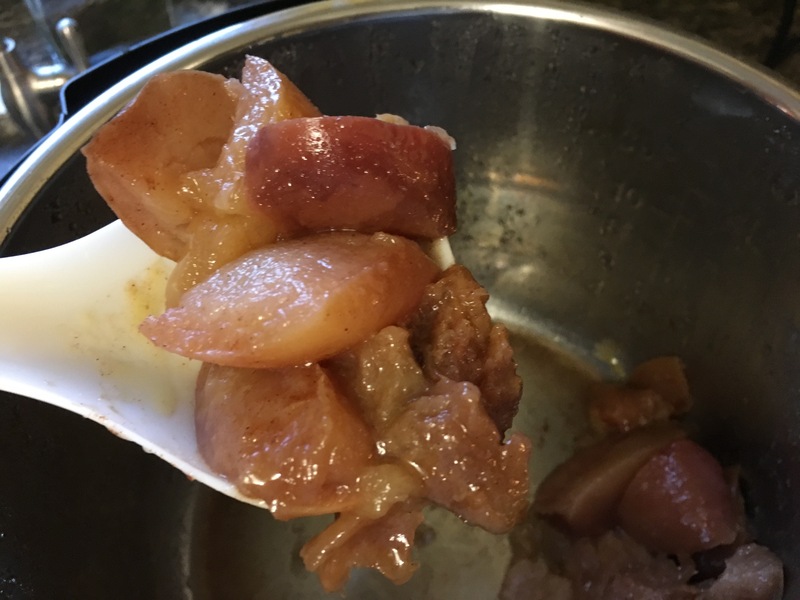 For a less chunky applesauce, place finished apples in a blender and pulse until you get the consistencies you are looking for. Use before 3-4 days – it if lasts that long!